This substantial electronically controlled / automated security gate is enough to deter unwanted intruders from your premises. 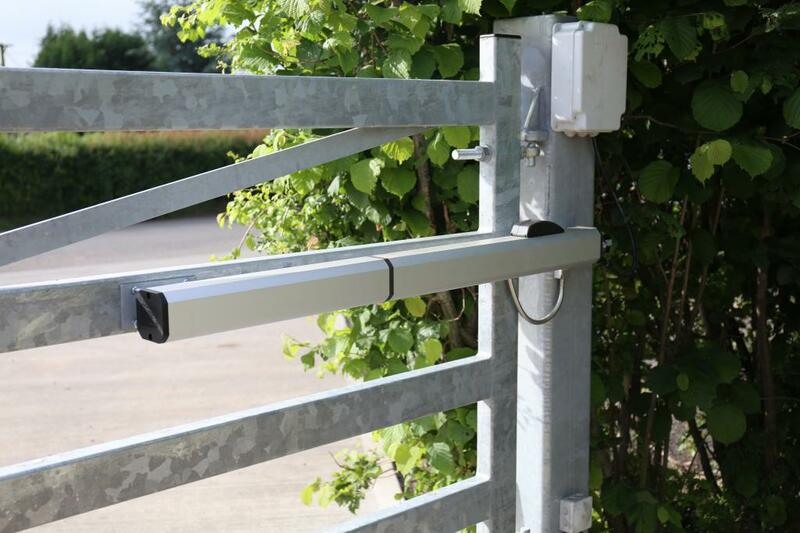 Whether you require a secure farm drive, field or industrial unit entrance this gate will provide you with a reliable, user friendly solution. 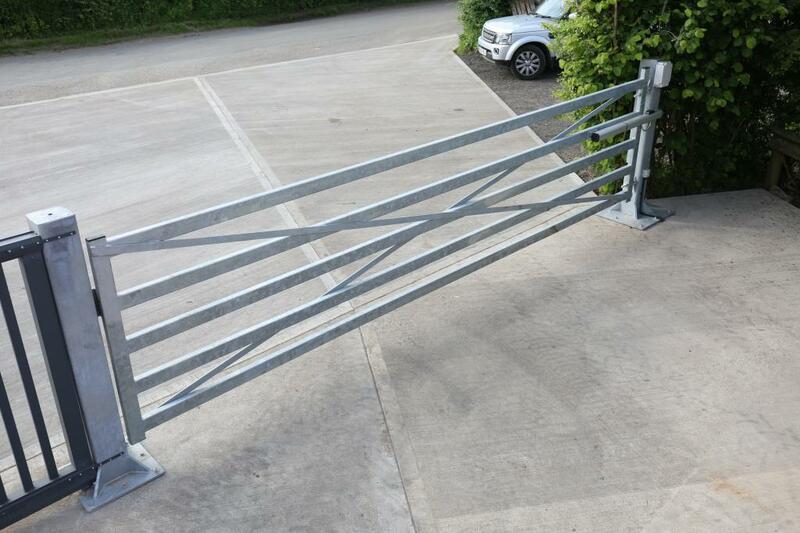 Designed and manufactured by ourselves in Chadbury, Evesham the fully galvanised gate features heavy duty hydraulic cylinder operation, magnetic locking with mobile phone GSM operation. Can be specified with either left or right hand opening to suit the situation. Our technical advisors are always on hand with helpful advice and fitting instructions. 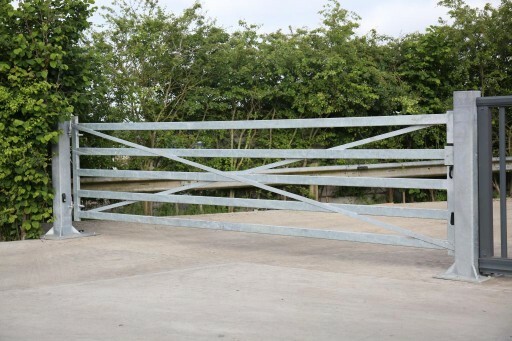 The galvanised swing gate is fast to open with mobile phone GSM operation, electronic obstacle sensors and a magnetic lock. Available in left or right hand opening, ready to fit with 1 years warranty. Gate operation is supplied fully CE accredited and conforms to all the current European regulations including EN12453, EN12445, EN12604 and EN12605. 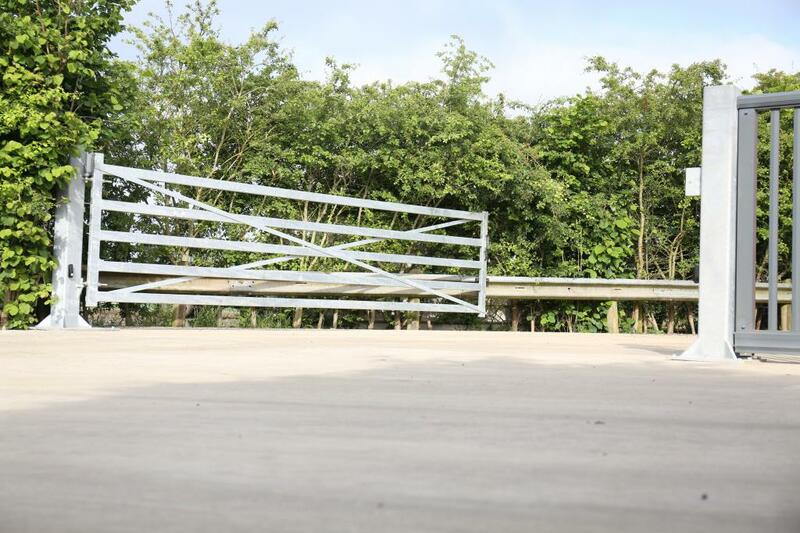 Customer to ensure the correct ground works are completed before installation. 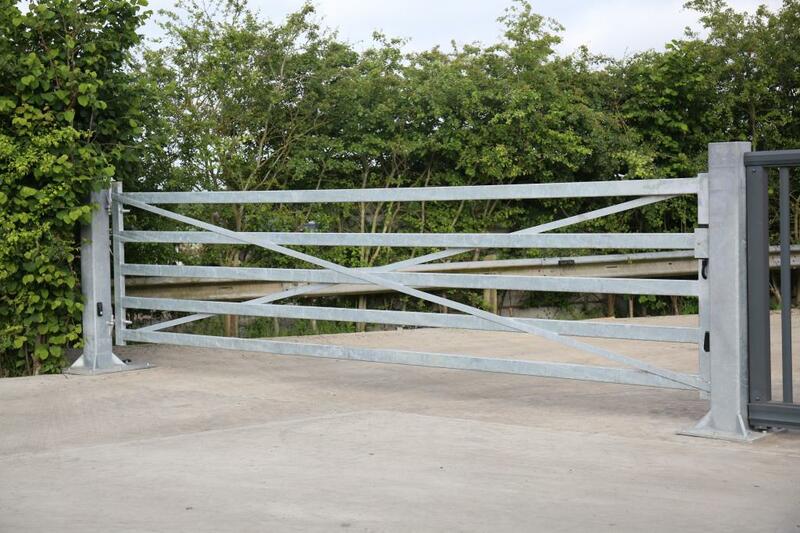 All gates come supplied with full base construction drawings.